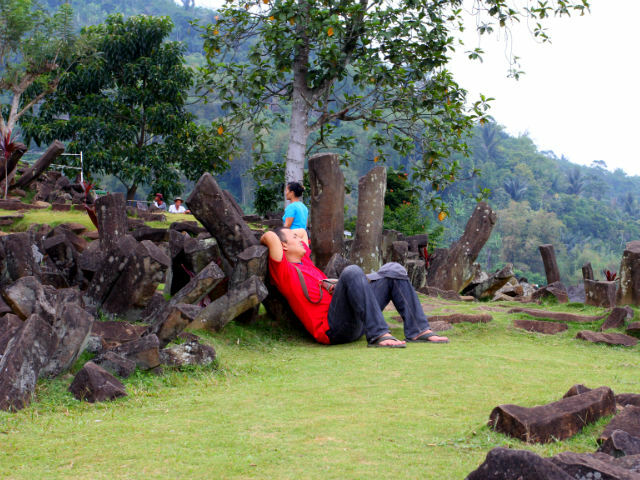 There are a lot of things that you can do on a day trip from Jakarta. I want to tell you a bit about Gunung Padang. Let me tell you a bit about this ancient historical site and what you can expect if you visit here for yourself. 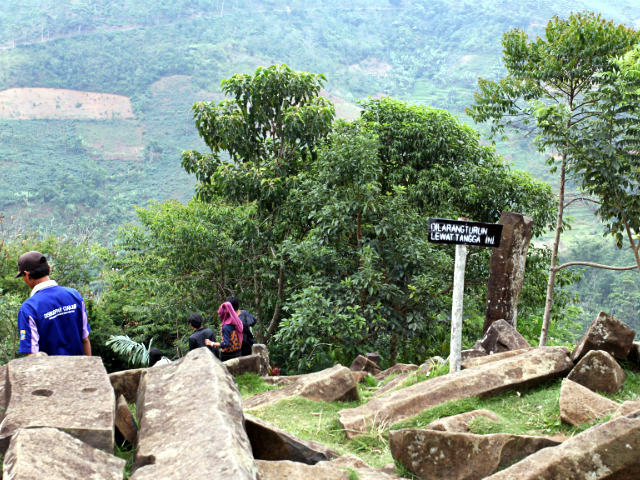 If you’ve never heard of it, Gunung Padang is located in Desa Karyamukti, Cianjur, West Java. It is probably around 120km from Jakarta. Reading about Gunung Padang and the result of several surveys done here made me realise that this is an extraordinary site. In fact, the site is almost as old, if not older than the ancient Egyptian civilization. 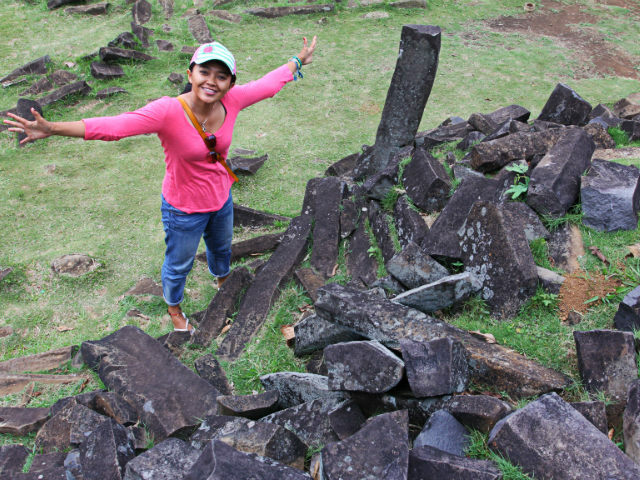 According to most archaeologists, Gunung Padang was built over four different eras and it is amazing to think about just how well preserved the site is. I mean it covers a huge area, but it is very tidy. I am just so amazed by it. I am just so amazed! How we are supposed to treat a Megalithic Site? Ohh.. I was really wondering about that while I was on the way to Gunung Padang. When I was in Gunung Padang, I saw some kids running around the site. One chubby guy rested his back on one of the standing stone. A couple sat on the top of a rock that looked like a chair to them, but it looked more like a table for me. I was doubtful step my feet and several times asked my friend: are you sure it is ok to step on this rock? How do you think about this site? Cool isn’t it? Let me confess.. I do not know much about archaeology and geology, but let me tell you some useful facts. The entrance fee for this great megalith site is Rp. 2,000 (0.2 $), yes dude that cheap! This place is not hard to find. It took around 3 hours to reach there from Jakarta. 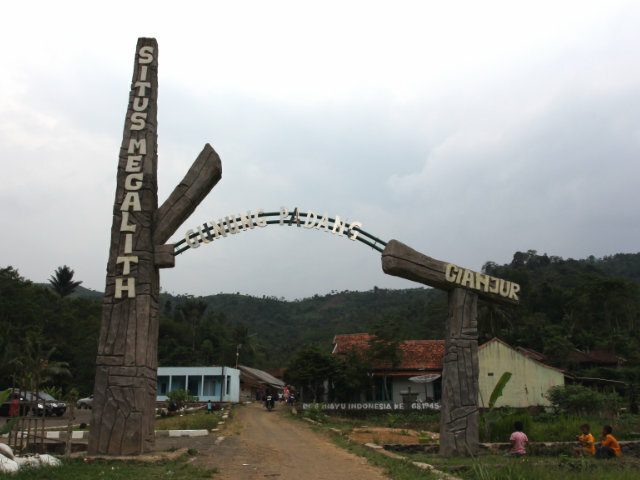 From Raya Cianjur street (when you already reach Warung Kondang), you will see a sign to go to Gunung Padang on your left. From that road, it is another 20 km more. You will get a fake stone kind of thing at the entrance gate (which made me feel that the place was going to be crap – luckily it is an awesome site). From the parking lot you need to walk around 200 m to the locket to buy the ticket to explore Gunung Padang. Back again to my earlier question about how are we supposed to treat a megalith site? I believe that the way most people treat it is wrong. First, the site is really clean, but the bad thing about it is there are plenty of food and drinks sellers around the site, rrr.. in the site. They are not supposed to be there, really! The great ancient megalith site suddenly changes into some kind of common area with the presence of them. Second, there are some small announcements such as: “don’t step through this area” or “don’t use the stairs” or some other stuff. In my opinion the signs were not clear enough or they needed to have several guards yelling at people to let people know when they accidentally do something wrong. Halo Firsta, thanks for sharing! Mau nanya dong, ke Gunung Padang bisa naik kereta nggak? Mengelola tempat bersejarah memang gak pernah mudah. Pertama dibutuhkan dana untuk penelitian dan perawatan, kemudian masyarakat setempat harus diberi edukasi bagaimana cara merawatnya — ujung-ujungnya mereka juga yang rugi kalau tempat itu rusak, ketiga promosi kepada wisatawan, keempat edukasi wisatawan supaya gak asal ketika mengunjungi tempat itu, kelima…banyak ya. Ya tapi gitu deh, suka sedih liat pengelolaan tempat bersejarah di Indonesia. Now I regret that I didn’t join my trip to Gunung Padang! Okay that’s supposed to be: my friend’s trip! 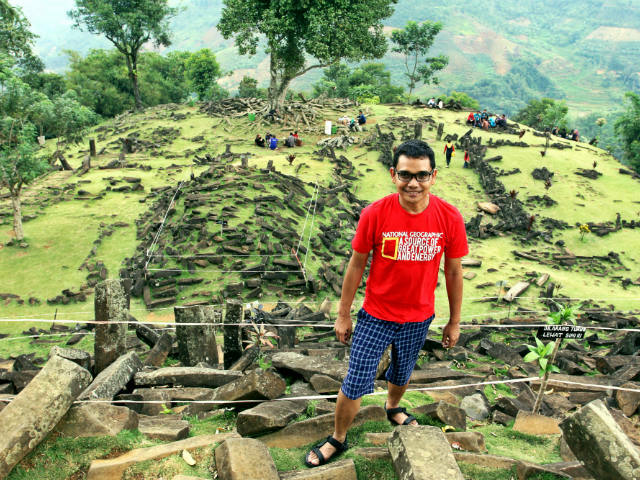 it’s amazing place and beatiful and also i know more history of pundak Berundak in Indonesia. i’ve been there, too firsta. n found many things. it show me.. I SO wanna go here, on my list! I hope you can visit Gunung Padang SOON! you said Gunung Padang is 3 hrs from Jakarta. What is the best way to get there? Hi Tanya, I went there with several friends by car. Perhaps that is the best way. I heard that you can catch a train to Gunung Padang, but not really too sure about that. Are there organized tours of a professional nature to show you around ganung Padang? I would like a tour guide that explains history of this site. Thanks for any information. Hi Gerry. I don’t have any recommendations for tour organisers for Gunung Padang. Sorry I couldn’t be of more help. I hope you manage to make suitable arrangements.